As a teacher you know that comprehension is key to successful reading. That means teaching children to comprehend text is an essential part of any curriculum. Comprehension happens when a reader is able to think about what they have read and apply that information in a meaningful way. So, when you think about it, teaching readers to comprehend text is really all about giving them strategies to help them think. Each of the lesson plans have been specifically designed to provide readers with multiple opportunities to engage with text and to practice using strategies to comprehend. Consequently, each lesson plan encourages readers to connect with text, share their thinking both through writing about reading and through oral expression, and to actively engage in specific strategy practice. The BookPagez resources have been paired with popular and award winning children’s literature because we believe that children’s literature should be at the center of literacy instruction. After all, children will enjoy reading so much more if you give them books that have been carefully crafted to engage, entertain, and inform little readers. 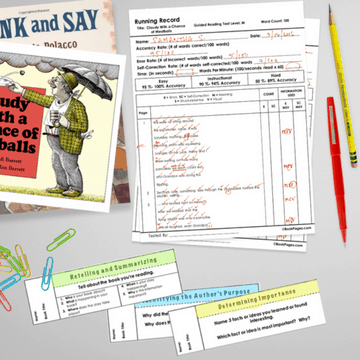 The Comprehension Strategy Lesson Plans use trade books as a springboard for instruction. Every lesson plan has been thoughtfully developed to provide readers with plenty of opportunities to explicitly practice each reading comprehension strategy. Through practicing with authentic text, students will do more than learn to become strategic. They will expand their knowledge of genre, develop author preferences, and begin to establish themselves as reading experts. In addition to pairing the lesson plans with children’s books, we’ve also leveled each set of resources according the to the Fountas and Pinnell Guided Reading Level for each book (If you don’t use Guided Reading Levels, click here for a handy conversion chart). Through choosing resources that have been specifically written to support readers at their individual reading levels, you’ll be able to deliver super targeted reading comprehension instruction. Whether you want to plan for small group instruction, or want to find a grade level appropriate minilesson for your whole group, choosing a text and a resource at the right level has been proven to make a difference in reading progress. You’ll find the Guided Reading Level listed in the upper right hand corner of the Comprehension Strategy Lesson Plan. Every Comprehension Strategy Lesson Plan has been designed with Balanced Literacy in mind and is flexible enough to be used in a variety of instructional approaches. The first part of each Comprehension Strategy Lesson Plan is all about helping students connect with text. This part is super important, so don’t skip it! The set of steps that we subconsciously move through happens at lightning fast speed. And in a world where we are barraged by emails, ads, text messages, and blog posts, the ability to masterfully move through a process for engaging with text has almost become a survival skill. Begin by reading the title of the book with your students. Read the summary with your students. This will provide them with the key information they need (younger readers may like to take a picture walk while you read the summary to them). 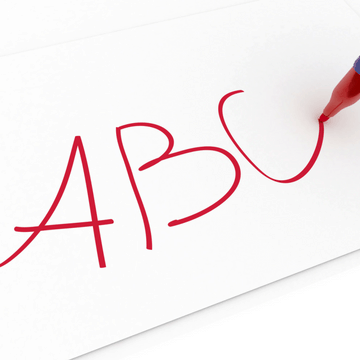 Introduce or review the “Important Words to Know and Understand” listed on the lesson plan. Discuss prior knowledge of the book and activate schema for the strategy using the “Link to What You Know” questions. Set a purpose for reading by explaining that you will be reading the book as strategy experts. Which means you’ll be stopping on specific pages to practice using the strategy addressed by each lesson plan. As a result of moving through these steps, you’ll help students develop a thought process that will translate to all of their inactions with text. The second part of each Comprehension Strategy Lesson Plan moves the focus to a specific comprehension strategy. Depending on where you are in your instructional cycle, there are a couple of ways you might approach this part of the lesson. Read the explanation of the strategy. Consider tracking the strategies you introduce by adding a Comprehension Strategy Poster to your classroom library. Alternatively, you can provide students with a Comprehension Strategy Bookmark as a reference tool to use during independent reading. Use Thinking Stems to draw connections between the new reading strategy and other comprehension strategies (i.e. This strategy reminds me of…, I could use this strategy to help me when I …). Invite students to share what they know about the strategy. Quickly review the strategy by reading the description included in the lesson plan. Use the Comprehension Strategy Task Cards to remind students how to use the strategy while reading. The third part of the Comprehension Strategy Lesson Plans is all about actively engaging with the text and the comprehension strategy. When selecting texts for strategy work, it’s always helpful to choose a text that students have already read. Prior experience with the text means students will be familiar with the story, making it easier for them to focus on the strategy work to deepen their understanding. We’ve taken the guesswork out of using picture books to teach comprehension strategies by providing you with a page by page instructional guide. Identified the places in the book where students can explicitly practice each strategy. Provided you with text specific guiding questions to support student use of the strategy. Depending on your goals, you can use the page by page guide in a couple of different ways. Deliver a comprehension strategy minilesson. Explicitly teach readers to use the strategy by modeling your thought process to answer each of the guiding questions. Use the guided practice pages to teach readers how to write about their use of each strategy while reading. Model how to respond using complete sentences and how to logically express their thoughts about reading through the lens of each comprehension strategy. Use the practice pages during small group instruction as part of a gradual release of responsibility approach. Show students how to respond to the first guiding question, then respond to the next question together, and finally, release students to respond to the remaining questions independently or with a partner. Use the practice page as a tool for assessment. The fourth part of the Comprehension Strategy Lesson Plan is intended to help students develop metacognition. Without the ability to monitor their own comprehension, students may struggle to develop as readers. Think about the strategy and how they applied it to their reading. Talk with a partner or a group about the strategy and the work they did as a reader. Reflect on their ability to use the strategy and to ask questions if needed. Write about the text through the lens of the comprehension strategy. The fifth and final part of the Comprehension Strategy Lesson Plan provides readers with an opportunity to extend their use of the strategy beyond the page by page guide. Each Comprehension Strategy Lesson Plan includes a Reader’s Notebook Comprehension Strategy Slip. The Strategy Slip presents readers with a writing prompt that is directly linked to the text and the comprehension strategy. The prompt is intended to help readers respond to text in meaningful ways. The slip has optional Common Core State Standard alignment and includes an “I Can” statement. We’ve also included an option without the Common Core alignment for teachers who do not need to align instruction to the Common Core. Use as an alternative to the practice pages during small group instruction. Use as a resource for students who want to practice the strategy independently. Use with books and other texts that don’t have a paired BookPagez Comprehension Strategy Lesson Plan. All of the Comprehension Strategy Lesson Plans include Common Core State Standard alignment. The standards listed with each lesson plan are based on the Guided Reading Level of the book pairing. So, for example, if the book has been identified as a Guided Reading level L, the book is most appropriate for students reading at a second grade level. Therefore, we have aligned the lesson plan and included resources to the Common Core State Standards for second grade. I am new to this program and am very impressed with the resources and lesson plans. One question I do have is are the books on this site or do I need to purchase them separately? So glad to know that you are happy with the lesson plans! No, the books are not available on the website. So yes, you will need to purchase them separately. We are working to bundle the books at an affordable price for BookPagez members. For now, Amazon is a great resource because you can get most of them at a really good price, especially if you get them used. Hope that helps! By bundle the books, do you mean in guided reading sets? (6 copies of the same book) I’m trying to figure out if I need to purchase enough copies for each child? Thanks for getting in touch. Yes, by bundled I mean sets of books for use with guided reading. You do not necessarily need to purchase the books. The lesson plans can be used for whole group mini-lessons, which means you only need one copy of each book. But, if you want to use the books for small group instruction, here are some suggestions: Source sets of books from the other classrooms in their grade. Or, you can contact your local library. Often they will be able to gather multiple copies of books from other libraries in your network. I hope that helps! Thank you for taking the time to get in touch. Have you tried using your local library? Most libraries let you put in a request for books. They will source multiple copies from surrounding libraries and have them ready at your local branch. Then you can either swing by to pick them up, or if you have a willing parent volunteer, they could get them for you. Document cameras can also be useful when doing a close read of text with small groups. I cannot wait to upgrade to see the other resources. They seem to be really top-of-the-line. Can you tell me if this program will work for 5th grade level students or is it just for Primary students? I’ve noticed how much my 5th graders love to listen, too. Yes, BookPagez is appropriate for 5th grade students. You can find resource sets based on grade level, guided reading level, comprehension strategy, and Common Core State Standard inside of the Resource Library. Most of the resource sets for 5th grade are for chapter books, which follow a Book Club format. However, you can use any of the comprehension strategy mini lessons for whole group instruction. Please get in touch via our contact form if you have any further questions. Thank you! Good evening, how do I get the lesson plans please? You have an Awesome site.I love how all the resourses are right there.Thanks so very much. You’re welcome! So happy you like the way the website is organized. The link the comprehension strategy task cards does not work. I love what I’ve seen so far and so do the teachers I’ve shared the site with. I was just curious if you would expand the comprehension skills to focus on all of them that CCSS lays out in their 10 literature and 10 informational standards? Thanks for getting in touch. All of the resources are already aligned to the Common Core State Standards. We have resources for 10 comprehension strategies, each of which addresses specific standards. You can find resources for both the literature and informational standards inside of the resource library. The informational books (A Butterfly is Patient, Are You a Snail, How a Seed Grows, etc.) are aligned to the informational standards. The fiction books (A Bad Case of Stripes, If You Give a Mouse a Cookie, etc.) are aligned to the literature standards. 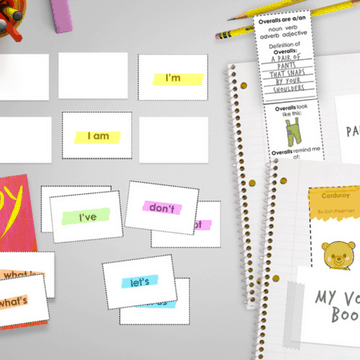 Share your tips and tricks for using the the BookPagez Comprehension Strategy Lesson Plans.